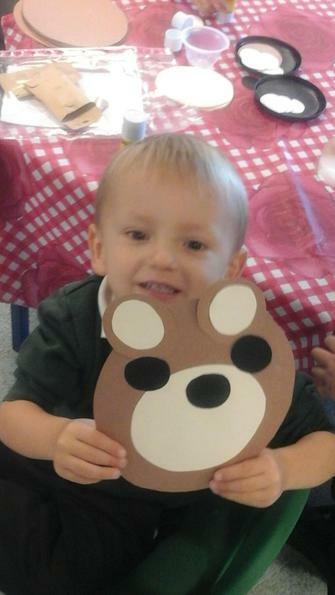 The nursery staff are very excited to welcome back the existing and new nursery children. 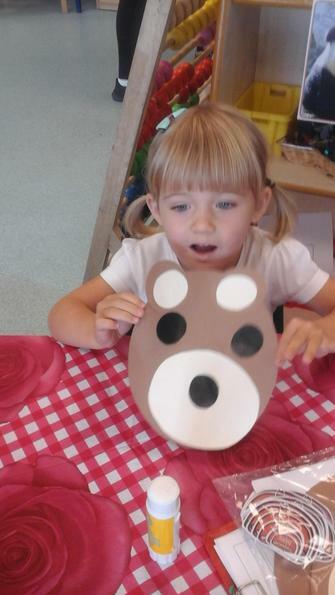 It is going to be a wonderful year with many new experiences for the children to enjoy. 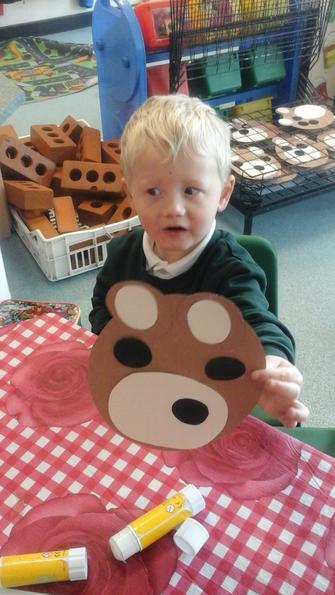 After the children have settled into the nursery we will start out Bear Adventure. 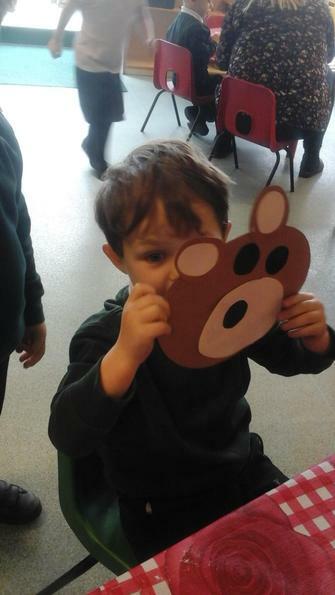 We will be going on a bear hunt, learning about bears and reading many bear stories. 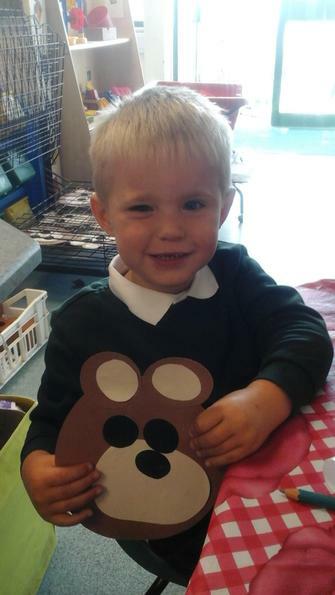 We have settled into Nursery so well this year and started to make lots of new friends. 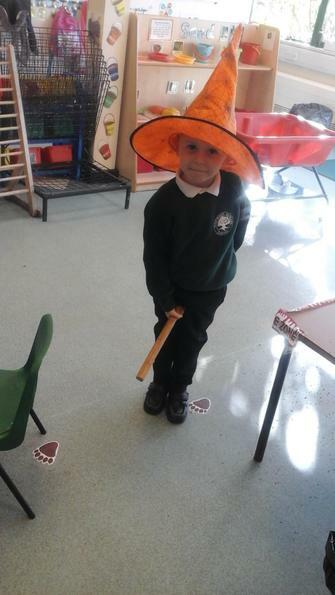 We have loved exploring the classroom and finding the best things to play with. 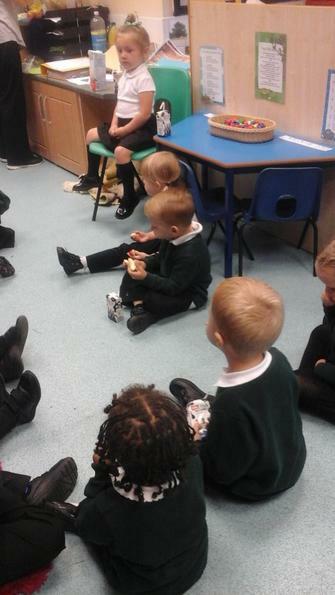 We have made new friends and enjoyed sitting down together for snack time. 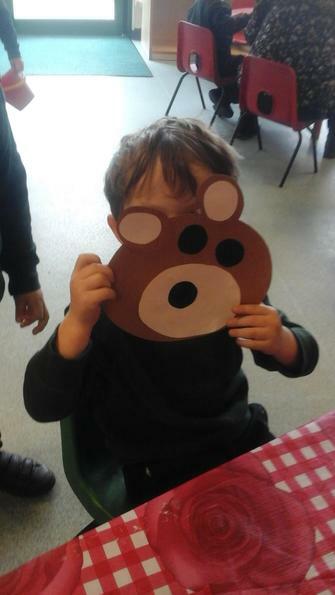 We have also made bear faces and talked about the different shapes you needed to make it. 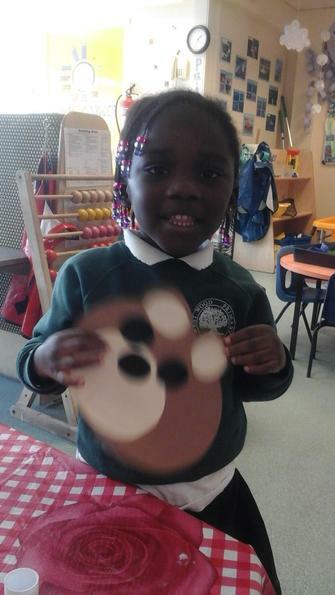 We learnt that a circle was round and that a square had four sides. 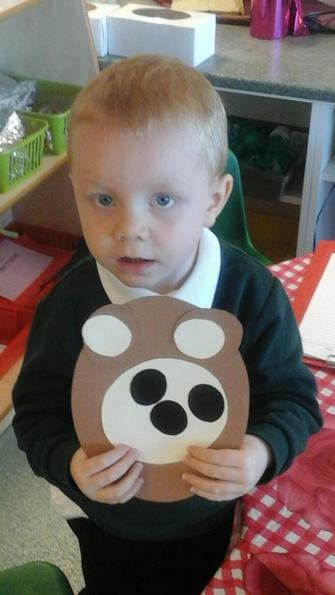 We have also done lots of number recognition and colour sorting in Maths. 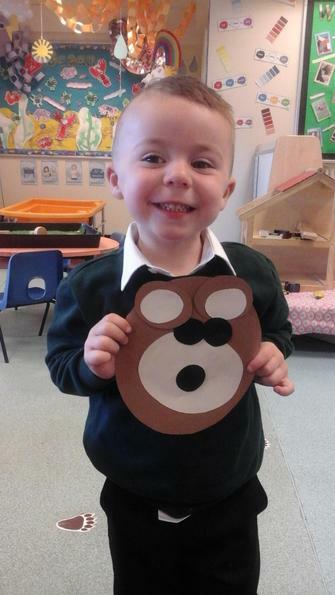 We're going on bear hunt! We love technology. We have been learning all about how to programme bee bots. 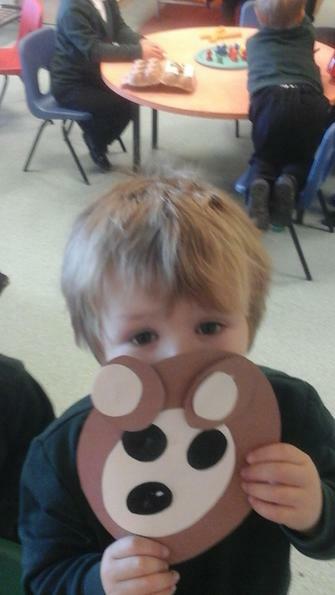 We made a map of a bear cave and a forest and guided the bee bot through the forest. It was so much fun! 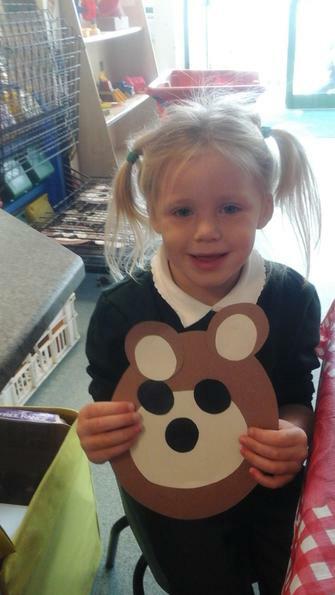 We have been so excited to read all about Goldilocks and the Three Bears this week. 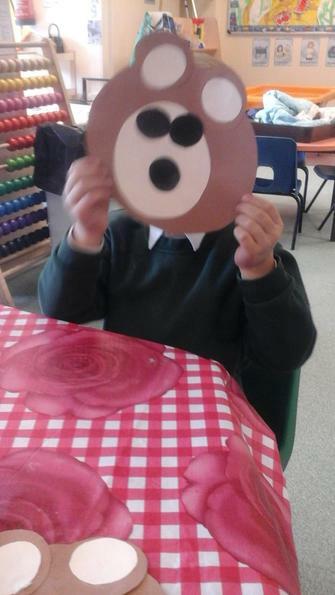 We read the story together and talked about what might happen to Goldilocks when the bears found her. 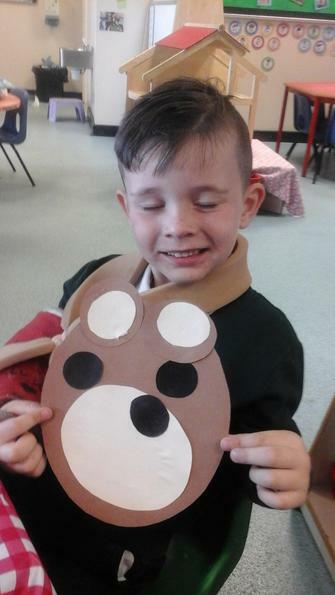 Joey said the bears would be cross with Goldilocks. Deacon agreed with him! We had a lovely class discussion. 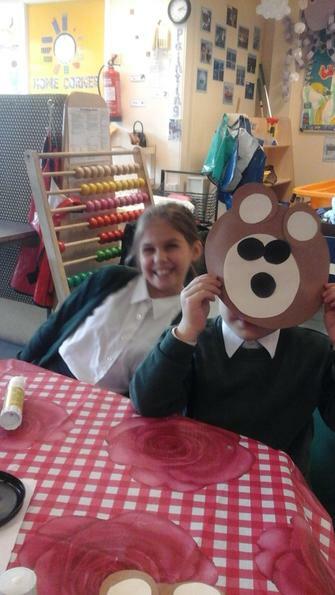 We then made jam sandwiches and had our own tea party! It was so fun. 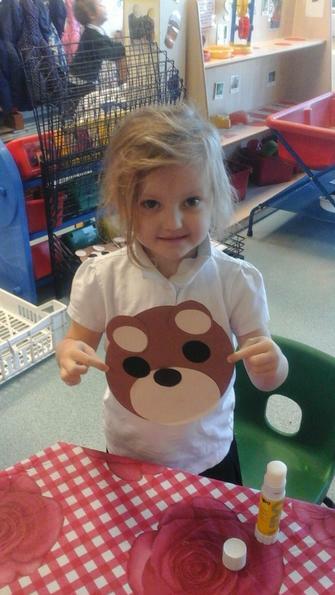 We followed instructions and made the jam sandwiches for our teddies. 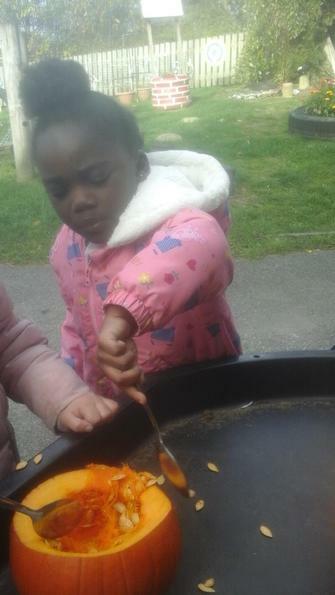 They thought the sandwiches were tasty too. 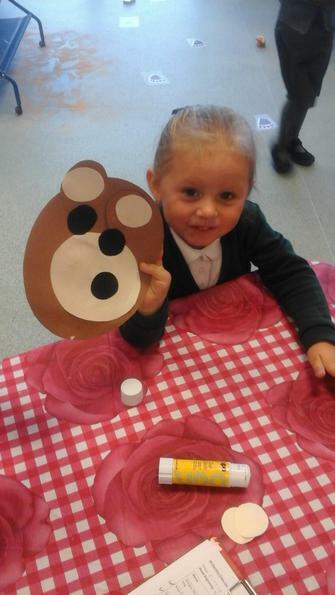 Lena loved her bear bread! 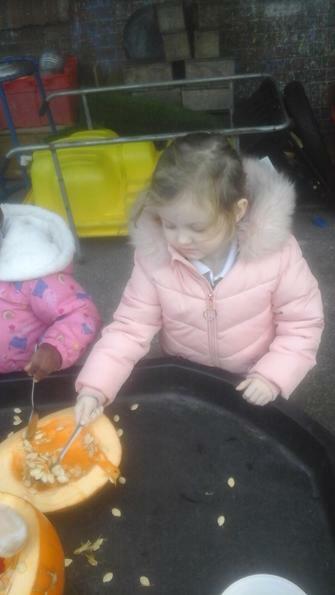 Georgina spreading with a knife. 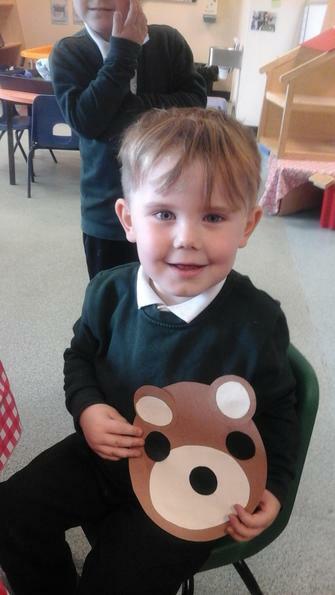 We have loved maths this half term. 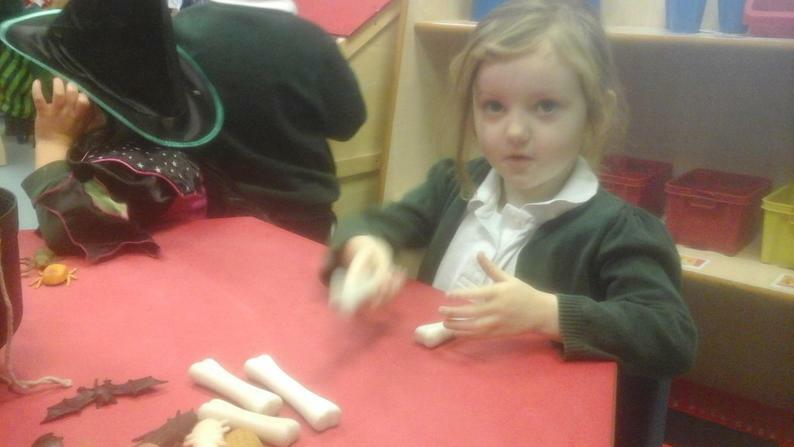 We have done lots of number recognition and matching the correct amount of objects to a number. 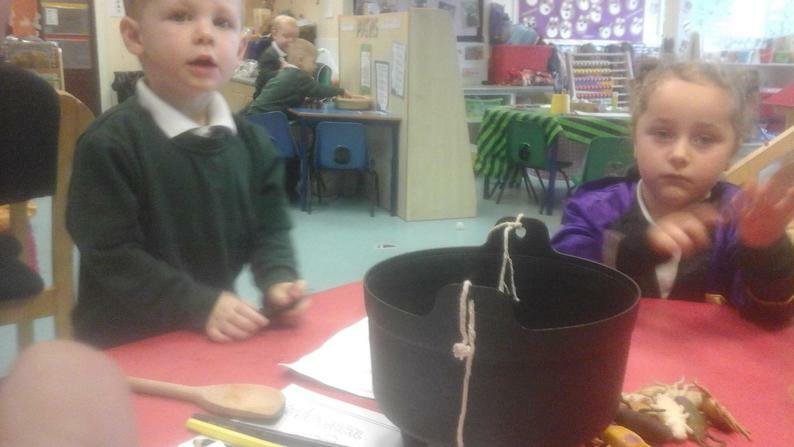 We have also ordered Goldilocks' porridge bowls from small to large and talked about why they go in that order. 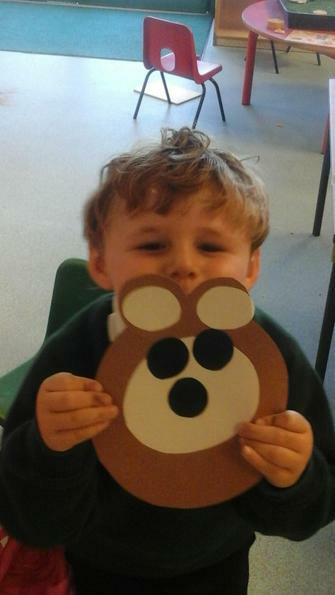 We have also learnt about circles when we made our circle bear and discussed lots of different 2D shapes. We could name a few of them which was brilliant. 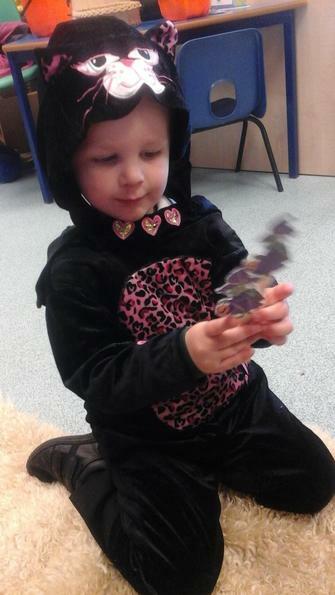 We have also done a colour sort when we went on a colour hunt. 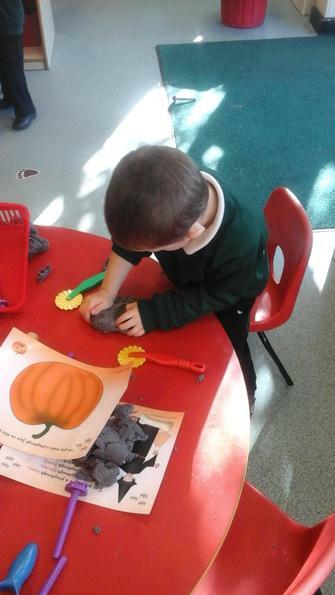 We were able to collect lots of objects of the same colour. It was lots of fun. 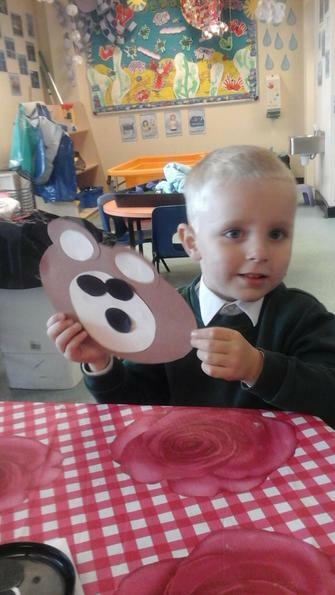 We have been very creative this half term in Acorn class. 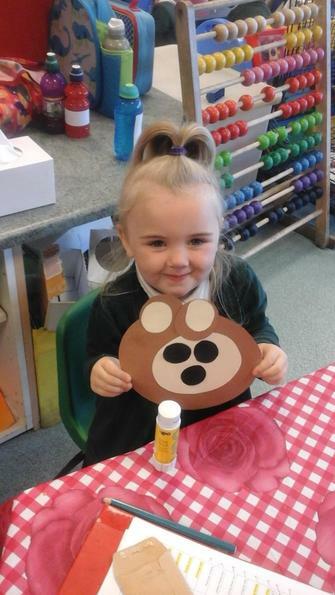 We have made lots of brilliant paintings and drawings. 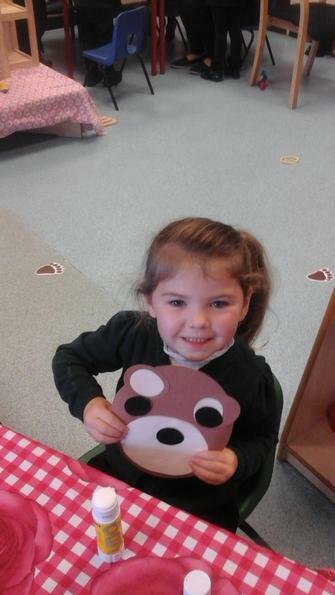 We have also experimented with playdough when we made a playdough bear. 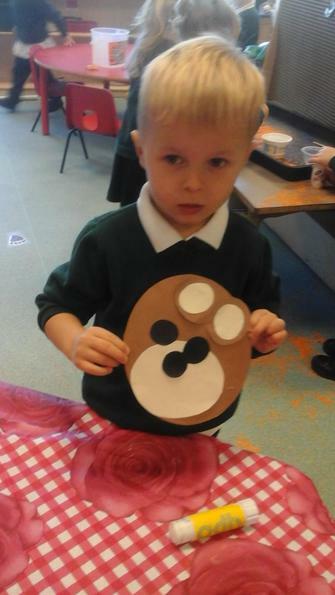 We used raisins as eyes and twigs as arms and legs. 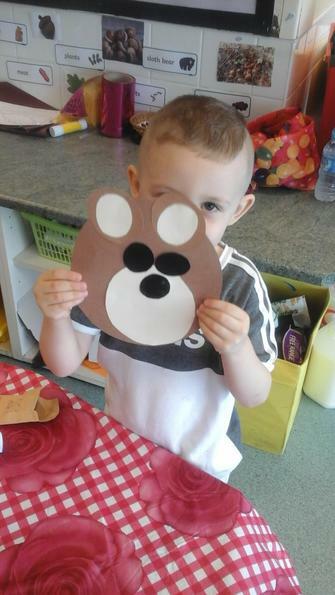 We made them all different shapes and sizes, it was great fun! 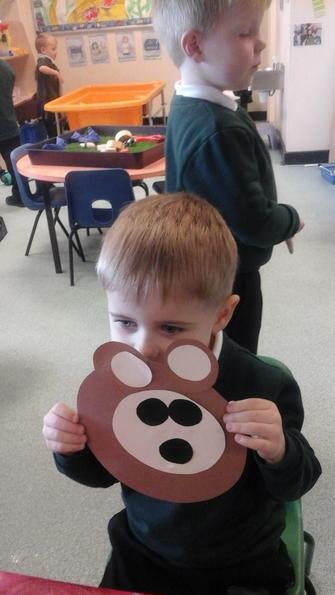 We also did some writing when we went on a sensory bear hunt. Our teacher made an interactive story map and we got to feel the different parts pf the story from the deep, cold river (water) to the swirling, whirling snowstorm (shaving foam!). We used describing words to say what each part felt like and then wrote these down. We held our pencil beautifully and were able to interpret some of what we had written. 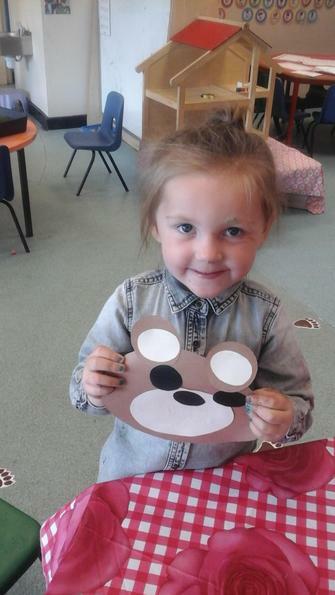 We also wrote our names using our name cards and practised with help from an adult. 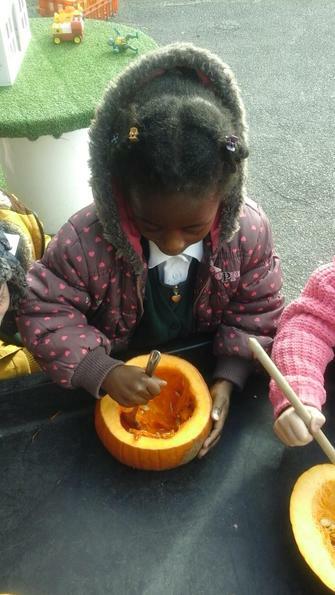 This week we have been learning about Autumn and how the seasons change throughout the year. 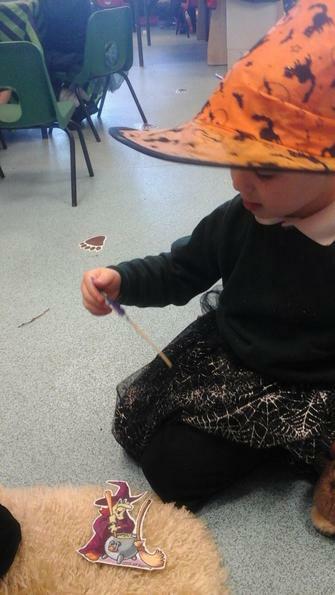 We looked at how the leaves change colour and why they fall off the trees. 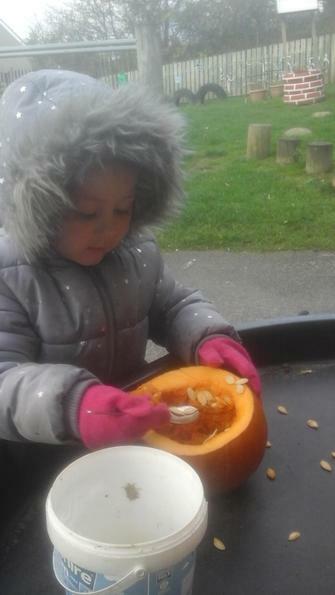 We also looked at different animals and why they need to collect their food for the winter to help them survive. 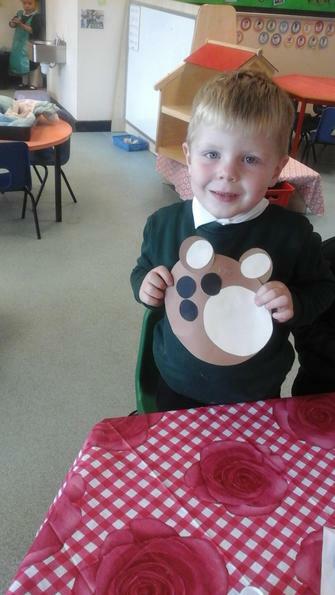 We also went on an Autumn hunt and collected lots of conkers and acorns. 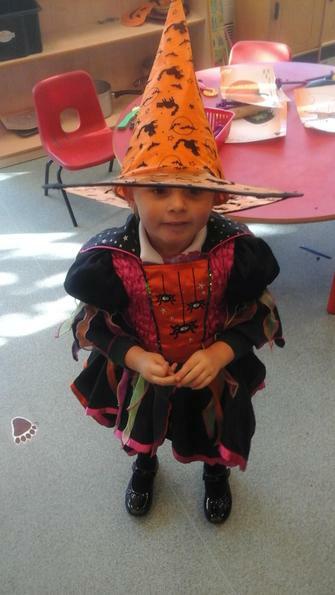 We have also had a week learning all about Halloween! 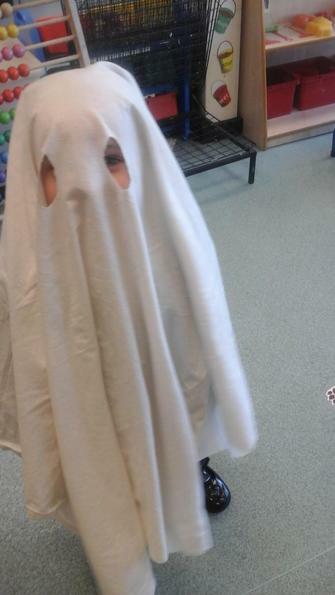 The classroom was really scary and we dressed up as ghosts, witches and cats! 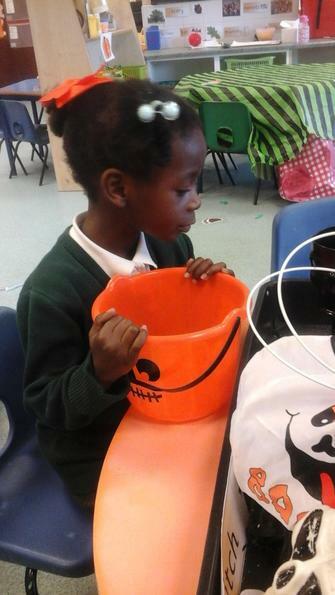 We also learnt the song, Halloween is coming, if you want to sing it at home! 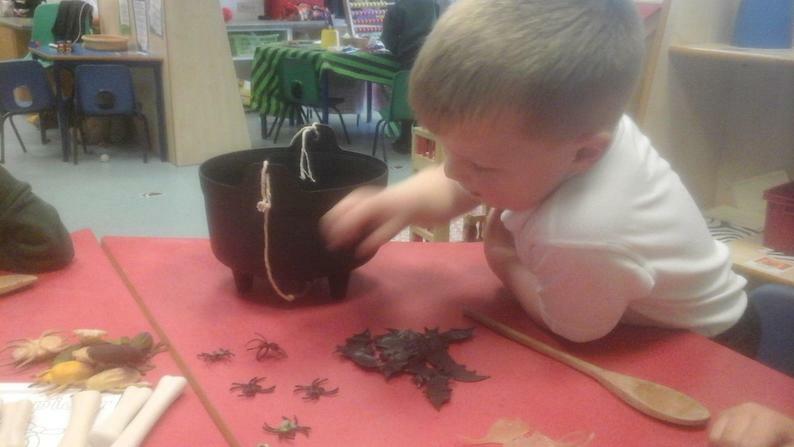 We practised our fine motor control by weaving a spiders web and we made our own collage pumpkin. 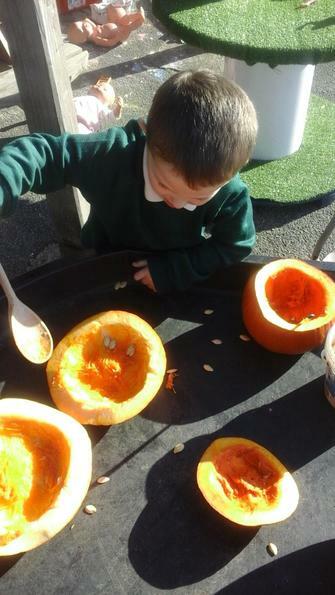 We also explored the tastes and textures of a pumpkin and talked about how they grow! We might even try to grow some ourselves. 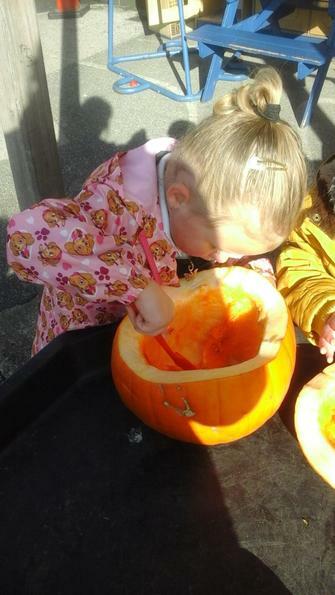 Some of us loved the taste but some of us really didn't! 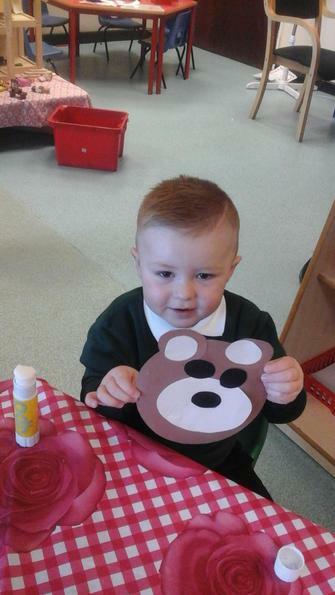 We have had the BEST time in Nursery this half term. 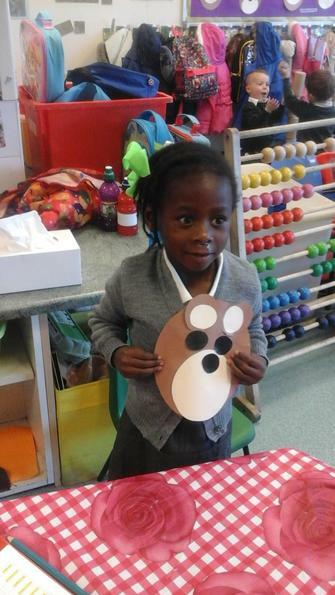 The children have settled in brilliantly, they have made lots of new friends and have loved coming into school. We are very proud of all of you. 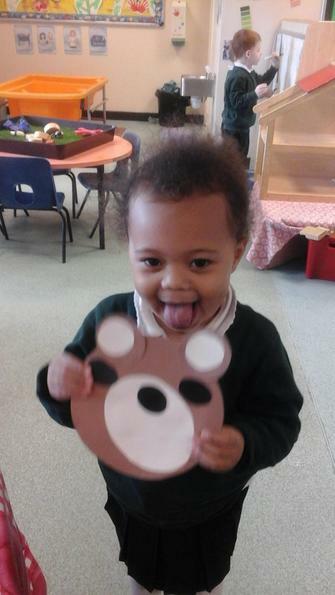 We can't wait to see what next term brings! 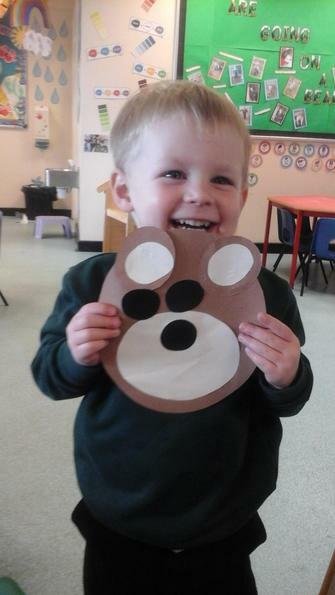 Please find below our half termly newsletters. These will keep you up to date with anything that is going on in and around school. 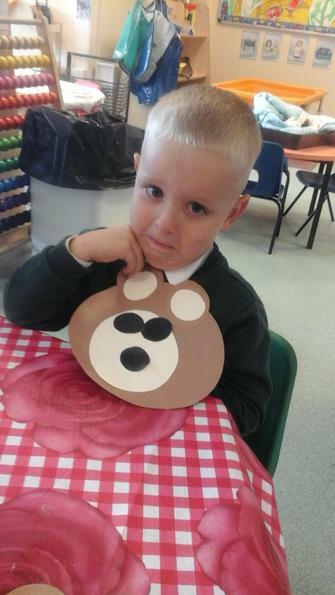 Have a look at some of our classroom displays. 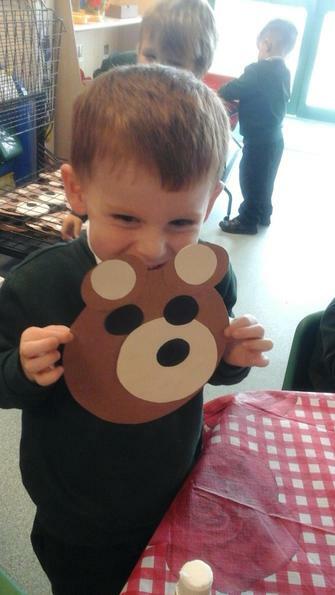 We love showing off our work to other children and parents.